UK Service Agreements. Lawyer Prepared. Service Agreements for use in various situations. These agreements set the specific services to be performed, term of the agreement and how much the services will cost. Included are numerous agreements which cover household, contracting and business needs. Forms for use by bakers and caterers when providing food services to a client or company. Agreements for use by an individual who will provide tutoring services for either a child or an adult. Dog Walking Services Agreement (England and Wales) This Dog Walking Services Agreement is designed for use in England and Wales. This legal form is available for immediate download. General Service Agreement (England and Wales) General Service Agreement for use in England and Wales. Horseback Riding Lessons Contract and Liability Release (England and Wales) This Horseback Riding Lessons Contract and Liability Release is designed for use in England and Wales. This form is ready for immediate download. Service Agreement - Athletic Trainer (England and Wales) This Athletic Training Services Agreement is designed for use in England and Wales. This form is available for immediate download. Service Agreement - Bookkeeping (England and Wales) This Bookkeeping Services Agreement is created for England and Wales. This legal form is available for immediate download. Service Agreement - Child Care (England and Wales) This Child Care Services Agreement is designed for use in England and Wales. This legal form is available for immediate download. Service Agreement - Clerical and Administrative (England and Wales) This Clerical and Administrative Services Agreement is created for England and Wales. This legal form is available for immediate download. Service Agreement - Cooking School Lessons (England and Wales) This Cooking School Lessons Agreement is designed for use in England and Wales. This form is available for immediate download. Service Agreement - Disc Jockey (England and Wales) Disc Jockey Service Agreement for use in England and Wales. Service Agreement - Fitness Training and Services (England and Wales) This Fitness Training and Services Agreement is designed for use in England and Wales. This form is available for immediate download. Service Agreement - Florist (England and Wales) Florist's Services Agreement for use in England and Wales. Service Agreement - Gardening (England and Wales) Gardening Services Agreement for use in England and Wales. Service Agreement - Horse Boarding/ Livery Yard (England and Wales) This Livery Yard Agreement is designed for use in England and Wales. This form is available for immediate download. Service Agreement - House Cleaning (England and Wales) House Cleaning Services Agreement for use in England and Wales. Service Agreement - Information Technology (England and Wales) This Information Technology Services Agreement is created for England and Wales. This legal form is available for immediate download. Service Agreement - Janitorial (England and Wales) Janitorial Cleaning Services Agreement for use in England and Wales. Service Agreement - Makeup Artist (England and Wales) This Makeup Artist Service Agreement is designed for use in England and Wales. This form is available for immediate download. Service Agreement - Messenger (England and Wales) A Messenger Services Agreement for use in England and Wales. This agreement sets forth the terms and conditions between a client and a messenger or messenger service. Service Agreement - Mover (England and Wales) Moving Services Agreement for use in England and Wales. Service Agreement - Pest Control (England and Wales) Pest Control Services Agreement for use in England and Wales. Service Agreement - Photographer (England and Wales) Photography Services Agreement for use in England and Wales. Perfect for weddings and other events! Service Agreement - Pool Cleaning (England and Wales) Swimming Pool Service Agreement for use in England and Wales. Service Agreement - Referee / Umpire (England and Wales) Referee / Umpire Services Agreement for use in England and Wales. Service Agreement - Residential Interior Design (England and Wales) This Residential Interior Design Service Agreement is created for use in England and Wales. This form is available for immediate download. Service Agreement - Security Guard (England and Wales) Security Guard Services Agreement for use in England and Wales. Service Agreement - Technical/Scientific Writing (England and Wales) This Technical/Scientific Writing Services Agreement is designed for use in England and Wales. This legal form is available for immediate download. Service Agreement - Translator (England and Wales) Translation Services Agreement for use in England and Wales. Service Agreement - Videographer (England and Wales) This Videography Services Agreement is designed for England and Wales. 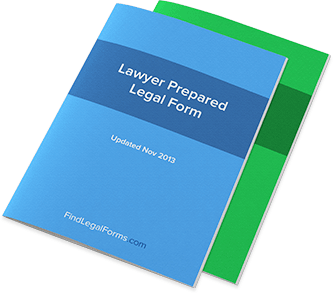 This legal form is ready for immediate download. Service Agreement - Wedding Band (England and Wales) This Wedding Band Services Agreement is created for use in England and Wales. This legal form is available for immediate download. Service Agreement - Window Cleaning (England and Wales) A Window Cleaning Agreement for use in England and Wales. This agreement sets forth the terms and conditions between a client and a window cleaning contractor. Services Amendment Agreement (England and Wales) Amendment to Services Agreement for England and Wales. This kit is designed to assist you in drafting an amendment to an existing services agreement. Catering Service Agreement (England & Wales) Catering Service Agreement for use in England and Wales. Service Agreement - Bakery / Cake Design (England and Wales) Bakery/Cake Design Services Agreement for use in England and Wales. Services Agreement - Tutoring / Adult (England and Wales) Tutoring services agreement (for adults) for use in England and Wales. Services Agreement - Tutoring / Child (England and Wales) Tutoring services agreement (for a child) for use in England and Wales. Household Services Agreement Forms Combo (England and Wales) Get 10 forms for just $38.95. Save 56%! This Household Services Agreement Forms Combo package is created for use in England and Wales. This combo is available for immediate download. Service Agreements are contracts used between two parties when one party is agreeing to provide labor in exchange for compensation. The range of services agreed upon in a Service Agreement range from installing garage door openers to tutoring children – and just about anything in between. Service Agreements are similar to Independent Contractor Agreements but often come in specific forms that address individual services such as interior design, janitorial services, or even nutrition and training services. Typically, the parties represented in a Service Agreement are the “Contractor” and the “Owner,” though these parties may be referred to as something else if the individual Service Agreement. What is the difference between a Service Agreement and an Independent Contractor Agreement? Typically, an Independent Contractor Agreement will outline a statement of the work to be performed, while a Service Agreement will focus more on the scope of the work to be performed. This is why a Service Agreement will often include a rate for the work that is to be rendered, while an Independent Contractor Agreement tends more toward a single or flat fee. There is some degree of flexibility in how each of these agreements is constructed however. Service Agreements will often contain other provisions as well, such as how expenses are to be handled when spending money is necessary to complete the services to be rendered. How do I know when I need a Service Agreement? Whenever your services are ongoing (as opposed to one-time, or opposed to a permanent basis), you’ll likely need to employ a Service Agreement. In one sense, Service Agreements could be considered a step above an Independent Contractor Agreement and a step below Employment Agreements in their permanence – though it’s important to remember that each type of these agreements can specify its own timeline. If you run your own service-based business but expect to add on regular clients (such as personal training clients) then the Service Agreement is likely the contract you’ll want to use on a regular basis. What kinds of professionals most often use Service Agreements? You’ll be able to find Service Agreement forms tailored specifically to these professions quite easily – however, the professions that can benefit from Service Agreements are not limited to those listed above. How are Service Agreements different from Employment Agreements? If you sign an Employment Agreement, then you become an employee of the company you’ve agreed to work for. Though the document is much like a Service Agreement, an actual Service Agreement is generally better for those who are in business for themselves. The essential message of each contract – the agreement of services to be rendered for a certain amount of pay – is the same, but the roles of the two parties is vastly different in each contract. What kind of provisions can be found in a Service Agreement? Description of Services / Services to be Performed: Quite simply, this section lays out the description of the job in question, though it will leave the schedule for the services to the next provision. Time of Completion: Giving an expected date for the completion of the service project, this provision sets the limitations generally not found in an Employment Agreement. Payment: Not only does this address the price of the services rendered, but will also address problems like expenses that have to be made in providing the services. General Provisions: A “miscellaneous” section that can include additional provisions customized to suit the needs of the project. As you can see, this contract is relatively straight-forward and not difficult to prepare once the terms of the agreement have been reached. Do Service Agreements vary from state to state? It’s important to have a contract that fits the individual parameters of your state’s legal system; however, Service Agreements generally don’t change very much from state to state on a core level. Even so, make sure that if you are using a Service Agreement that you use one that has been reviewed and approved for use in your individual state. When is a Service Agreement enforceable? Service Agreements, like most contracts, will be enforceable once they are validly signed. Because the Time of Completion provision will outline a specific schedule for the work and payment, the contract will generally not be truly enforceable until the time for each side to live up their responsibilities has arrived. Once both sides have lived up to the contract, there will be little “left over” enforceability unless other provisions have been included. What are the requirements for a Service Agreement to be valid? One important factor for Service Agreements is “consideration.” This factor assumes that both sides are receiving some benefit from the transaction – otherwise, the contract could be considered a form of involuntary servitude and would therefore be invalid. That’s why it’s important that both the services to be rendered and the payment terms for those services be listed in a Service Agreement. Other usual requirements of contractual validity (such as a willful signature between two legal adults) still apply. When is a Service Agreement effective? For contracts with specific time frames like a Service Agreement, the general effectiveness of the contract itself is strongly influenced by its own scheduling terms. However, a contract will not be null and void simply because the schedule for payment has passed and it’s important that the contract has also been fulfilled by each signing party. The contract will continue to be effective after it has been signed; however, there will not be much to enforce once the two sides have both lived up to their respective contractual obligations.